Congratulations US Marine Corps Veteran Scholarship Recipient, Zachary Gage Naslund of Plymouth, Minnesota! Zachary served in the United States Marine Corps as an Infantryman and received many awards and decorations, including a Marine Corps Good Conduct Medal, National Defense Service Ribbon, and a Global War on Terrorism Medal. Before working construction, he logged many hours working for Habitat for Humanity. He built homes in the remote villages of Africa where he also performed an Eagle Scout project to build schools for villages that did not have enough funding to build them on their own. 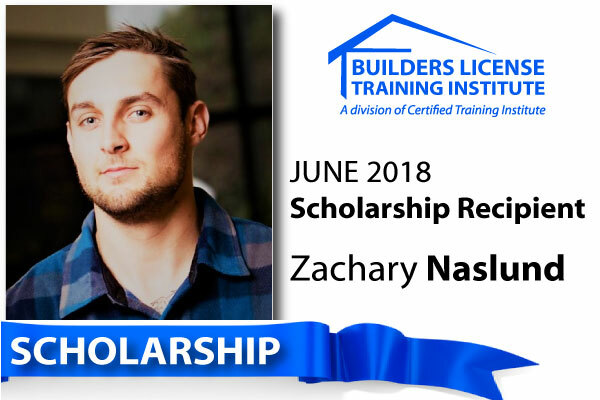 Congratulations Zach, we're proud to offer you this opportunity to build a better tomorrow! This entry was posted in All Industries and tagged Builders License Scholarship, USMC Veteran Scholarship, Veteran Scholarship.